Current and future process safety leaders, including new entrants and graduates, require a strong understanding of human and organisational factors (HOF) to maintain safe operations and ensure the safety of the workforce. 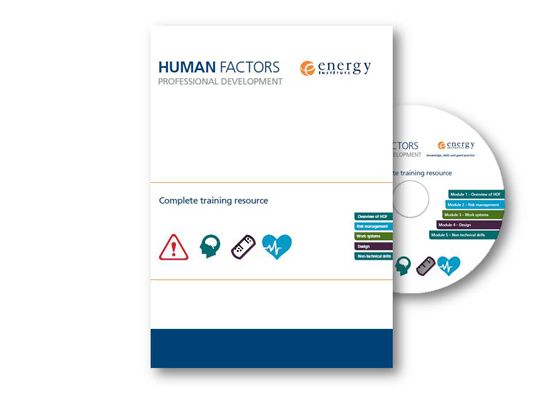 To assist organisations in fully understanding these issues, the Energy Institute’s (EI) Human and Organisational Factors Committee (HOFCOM) has developed a complete human factors training course resource for training new and existing employees working in hazardous industries. The discipline of HOF looks at the interaction between the management systems, facilities and equipment, and the people within a process, organisation or industry. It plays a big part in operations in all major hazard industries, and has been cited as a contributory cause in a number of major incidents. However, among safety managers, there currently exists a knowledge gap in understanding HOF and how it can be managed. This is partly due to a lack of training offered beyond the basics, both within industry and in many related university degrees. By recognising the gap that exists in current offerings between very basic and specifically tailored training, the EI’s course materials aim to provide trainers, in industry and academia, with the tools to advise and guide current and future process operators and leaders on managing the risks associated with a range of human factors. With over 30 hours of training material provided, including a mix of interactive activities, case studies, slide presentations and group exercises , the course materials will set a standard for industry-focused human factors training, whilst also contributing to related management and engineering university courses. Human and organisational factors professional development: complete training resource is available from www.energypublishing.org. More information is available here. You are currently browsing the EI HOF Blog blog archives for February, 2014.